Selling is a challenging profession and a very demanding one as well! Selling today is a different ball game with the buyer being more knowledgeable and smart. A buyer would have done a thorough research on us before actually interacting with us. A lot of activities in the sales process are getting digital and a smart sales person needs to understand this shift. Even Artificial Intelligence will invade sales area. So how does one deal with these changes? What are the best practices in technology sales? Unfortunately, there are few sources and books on technology selling that can provide insights and shared experiences. Mindtree Co-founder Subroto Bagchi tries to address this gap and provide his rich insights on selling. Many of Subroto’s fans and friends like me were awaiting his new book – since a lot of water had flown in Ganges since the release of his previous book. And ever since he told me that his upcoming book was on sales, the salesman in me was eager to lay his hands on the book. 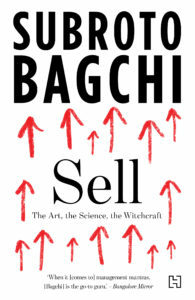 ‘Sell: The Art, Science, the Witchcraft’ is the title of SubrotoDa’s book and it brings together the experience and advice of various sales leaders. Subroto has known these sales leaders and drawn on their unique sales philosophy and wisdom. There are nice anecdotes, unique insights and practical tips. SubrotoDa defines sales as part science, part art and part wizardry. It is not a profession in itself but a very critical skill in every field and an essential skill for people across all levels within the organization. 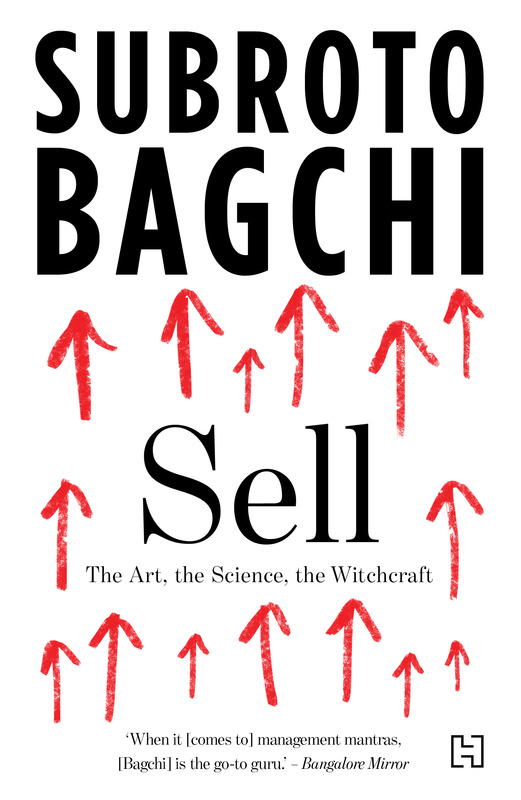 Selling is not something to be apologetic about. It is not a pushy, winner-take-all masculine act. It is an empathy-led, process-driven and knowledge-intensive discipline. A lot of things in Sell impressed me – visual design of technological solution, collaboration between sales and marketing for larger deals, response to a major RFP loss, Google Quotient, The Naked Burger, Do It Like Swedes etc. I definitely intend to influence my sales practices with some of these thoughts. He uses the analogy of life-cycle of Coho salmon to drive home the importance of right prospecting by segmenting the customers and figuring out the right hook. Right qualification is importance to save the most precious resource of salesperson: time. And also ensure optimization of organizational energy, effort, intellect and other resources. I smiled at the different stereotypes presented: Great giver of homework, patron saint of thought leadership etc. Honesty, transparency, customer relationship, negotiation, etc. are important traits for an effective seller and Subroto delves into each of these topics. Customer relationship is a competitive advantage and one has to developer chemistry with the customer. He emphasizes one thing that has not changed in sales – people buy from people. A best sales person is a consultant who advises client and brings teams together to create the right solution and sell in a consultative approach. Subroto also delves into areas of deal-making, legal support, paperwork etc. He ends the book with detailing of what a makes a true sales champion. Subroto delivers his rich intellect and wisdom in easy to understand nuggets. He has strong rationale for his views. I had whole-heartedly followed his advice of uprooting ourselves and exploring new geographies to break our comfort zone and rewire our thinking. Could this have been even a greater book? Would have I liked anything more in this book? Yes – Some more depth on some topics (I understand the overall writing style of Subroto). I would have liked to see the comparative analysis of selling practices of Indian IT and true blue Western IT companies. Maybe some detailed case studies of winning a large and complex enterprise deal – without divulging confidentiality of any entities. Maybe some biggest sales follies of the sales leaders. I would also have loved to see his views on how the new and mid-sized Indian companies can win deals in the new emerging global landscape. This would have been a great service to many emerging sales leaders. Sell is a great resource for technology sales professionals. It is a great addition to the dearth of Indian voice on this topic. It has nice insights for sales professional. Read it!